A devastating flaw in Wi-Fi’s WPA security protocol makes it possible for attackers to eavesdrop on your data when you connect to Wi-Fi. Dubbed KRACK, the issue affects the Wi-Fi protocol itself—not specific products or implementations—and “works against all modern protected Wi-Fi networks,” according to Mathy Vanhoef, the researcher that discovered it. That means that if your device uses Wi-Fi, KRACK likely impacts it. Read on for what you need to know about the KRACK Wi-Fi vulnerability, from how it works to how to best protect yourself against it. 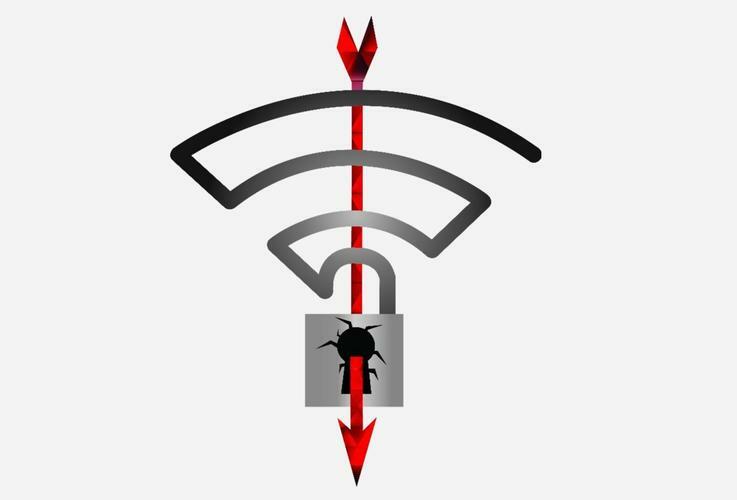 KRACK (short for, uh, Key Reinstallation AttaCK) targets the third step in a four-way authentication “handshake” performed when your Wi-Fi client device attempts to connect to a protected Wi-Fi network. The encryption key can be resent multiple times during step three, and if attackers collect and replay those retransmissions in particular ways, Wi-Fi security encryption can be broken. That’s the CliffsNotes version. For a more technically detailed explanation, check out Mathy Vanhoef’s KRACK attacks website. On the plus side, hackers would need to be physically close to you in order to intercept your Wi-Fi authentication requests. If your device uses Wi-Fi, it’s likely vulnerable to the KRACK Wi-Fi security flaw to some degree. We go into greater detail about how particular devices are affected by KRACK in a dedicated section further below. For starters, the attacker can eavesdrop on all traffic you send over the network. “This can be abused to steal sensitive information such as credit card numbers, passwords, chat messages, emails, photos, and so on,” Vanhoef says. For a deeper look at the potential impact, check out PCWorld’s article on what an eavesdropper sees when you use an unsecured Wi-Fi hotspot. It’s a few years old, but still illuminating. So yeah, it’s bad. Keep your security software active and up to date, just in case. Keep your devices up to date! Vanhoef says “implementations can be patched in a backwards-compatible manner.” That means that your device can download an update that protects against KRACK and still communicate with unpatched hardware while being protected from the security flaw. Given the potential reach of KRACK, expect those patches to come quickly from major hardware and operating system vendors. Until those updates appear, consumers can still take steps to safeguard against KRACK. The easiest thing would be to simply use a wired ethernet connection. That’s not always possible though. If you need to use Wi-Fi, stick to sites that use HTTPS encryption, or hop on a virtual private network (VPN) to potentially hide all of your network traffic. The Electronic Frontier Foundation’s superb HTTPS Everywhere browser plug-in can force all sites that offer HTTPS encryption to use that protection, while PCWorld’s guide to the best VPN services can help you pick out a trustworthy provider. And again, keep your security software up to date to protect against potential code injected malware. So is my iPhone safe? Safer than Android, but still not entirely safe. The researchers who found the bug initially had a harder time cracking macOS, but subsequent attacks were easier to implement. Not quite. Researchers actually found that Linux machines were the most vulnerable desktop devices, with a similar bug to the one found in the Android code. OK, I’m not doing that. What else can I do? Right now, all you can do is wait. Google has already confirmed that it is aware of the issue and is working on a patch, and Apple and Microsoft will presumably do the same, as well as Linux purveyors. First, you should check to see if your router has any pending firmware updates. Most people aren’t as vigilant in updating their routers as they are with their phones or PCs, so log into your admin page and install any waiting updates. If there aren’t any, it’s a good habit to check every day, since companies will be rolling out patches over the coming weeks, with some already bring implemented.